What are all those little icons at the top and bottom of every story? These icons allow you to share our stories to Facebook, Twitter, and other social media. You can also use these buttons to send a story via email, print a story, or leave a comment. If I share a story, will my friends have to register? Users who enter the site via a shared link will be able to see that particular story or recipe without registration. They will be prompted to complete our quick and easy registration process to read other content. Where can I subscribe to the print edition of Plate? From any page on the site, scroll to the bottom and select “My account.” There, you can add or update your subscription to our award-winning print magazine, as well as any of our email newsletters. I know someone who receives Plate for free. How do I sign up for my own free subscription? Plate is provided free of charge to professional chefs and restaurateurs. Others, including consumer food lovers and suppliers to the foodservice industry, can subscribe at the rate of $54.00 per year. Subscriptions include six bimonthly issues plus the annual Chefs to Watch issue in October. If you have any questions as to whether or not you qualify for a free subscription, please contact [email protected]. Can I buy print copies of certain issues? Absolutely! You can fill out an order form here. If you have an iPad, you can also purchase specific issues through our app. How can I get help? Email us at [email protected]. Where can I submit news for Chefs on the Move? We'd love to hear about chef shuffles and restaurant news! Please send us an email at [email protected]. How can I contact Plate? Click “Contact” at the bottom of any page, or click to http://plateonline.com/contact. Where can I download the Plate magazine app? You can download the free app from the Apple iTunes store: Click here. What's included with the free app? The app allows you to download and purchase individual issues of Plate that have been formatted and optimized for viewing on a tablet device. This includes supplemental content, such as videos, direct links to online recipes and other extras. How do I download an issue of Plate? Each issue within the app includes a “buy” button that will give you the option to either purchase that single issue, or buy a quarterly subscription. What's the difference between purchasing an individual issue and a subscription? When you purchase an individual issue, you get just that—a single issue. You may delete and re-download that single issue as many times as you wish. A subscription gives you unlimited access to our entire library—past, as well as future issues—for as long as your subscription remains active. How much does the iPad edition of Plate cost? You can purchase individual issues of the magazine for $4.99, or a three-month, auto-renewing subscription for $6.99. All purchases are processed directly through your Apple iTunes account. I am a registered member on PlateOnline, but the app doesn't recognize my login information. iPad access is tied to your magazine subscription, not your website registration. Only paid subscribers to Plate magazine qualify for free access to the iPad edition. Do the issues expire? No. Regardless of how you purchase the magazine, downloaded issues will remain active on your iPad until you delete them. However, if your subscription expires, you will not be able to re-download the deleted issues. Will the app automatically update the magazine content? No. Each issue must be downloaded individually. Will the app notify me when a new issue of Plate is available? Yes. The app will notify you whenever a new issue is available. Can I share the iPad edition with friends? No. There are currently no share features available. I don't have an iPad. 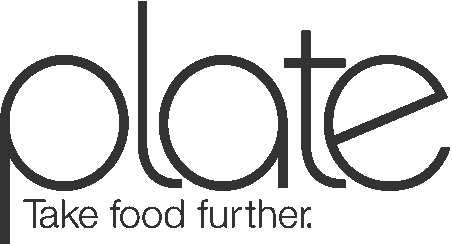 Is Plate available for Android devices? Not yet, but we hope to add an Android edition soon. I've installed the app, but why is it taking so long to download individual issues? Embedded videos and high-resolution photos create large files. Download times can vary widely depending on your data connection, Internet traffic, etc. Try to avoid peak traffic times (midday, Monday-Friday, etc.). WiFi is strongly recommended. Plug in your iPad to give it extra power. Finally, having too many apps operating simultaneously can slow things down. Try closing out some apps to free up memory and processor power. I just reinstalled my app and now it no longer recognizes me. On the newest version of the app, you'll notice a padlock symbol in the upper right corner of your screen. Tap that padlock to enter your email address and the special password you were provided. I have other questions. Where can I get help? Send us an email at [email protected]. We'll do our best to answer your questions.